Legacy gifts establish your own artistic legacy and preserve the future of extraordinary music for generations to come. The Encore Society recognizes individuals who have included the Festival in their will or other estate plans. 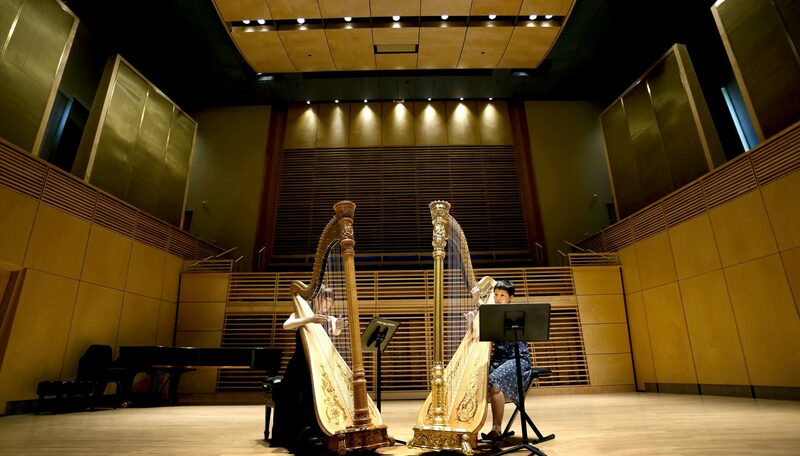 We specialize in transforming your contributions into meaningful programs for generations of musicians and audiences. It is always recommended, in addition to speaking with us, to consult with your attorney or estate lawyer when planning your legacy giving. After determining the method by which you will make a lasting impact at the Festival, we would love to work with you to channel the intended funds into programs or scholarship that reflect your wishes and the Festival’s needs. A bequest is a gift from your estate – a transfer of cash, securities, or property from you to the Festival. The bequest can be a specified dollar amount, percentage of your estate, or all or a portion of the remainder of your estate after specified distributions are made to other beneficiaries. A Charitable Remainder Trust allows you to make a donation to establish a trust which can provide you or your family with an annual, semi-annual, quarterly, or monthly income stream of between 5% and 50% annually of the trust’s assets. After a specified timeframe or the death of the last income beneficiary, the remaining trust assets are distributed to the Festival. A Charitable Lead Trust allows you to make a donation to establish a trust which can provide the Festival with an annual income stream through the percentage of the trust’s assets. 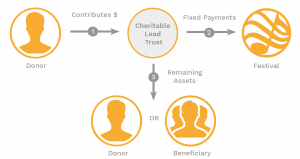 After a specified timeframe, the remaining trust assets are distributed to the named non-charity beneficiaries, such as yourself or your family members. An IRA charitable gift allows those age 70½ or older to make tax-free gifts of up to $100,000 per year directly from their Individual Retirement Accounts to the Festival. Your  IRA charitable gift can satisfy all or part of your required  minimum distribution. To learn more, please contact us at 207-373-1440 or casey@bowdoinfestival.org.